Whether for business or pleasure, the best travel technology makes your life that little bit easier – and a little more fun! We’re as concerned about security as anyone, but we don’t believe high-net-worth individuals want to submit their digital devices to the kind of ‘extreme vetting’ US authorities currently demand. For people to whom communications and contacts are money, handing over access to a stranger will be anathema. 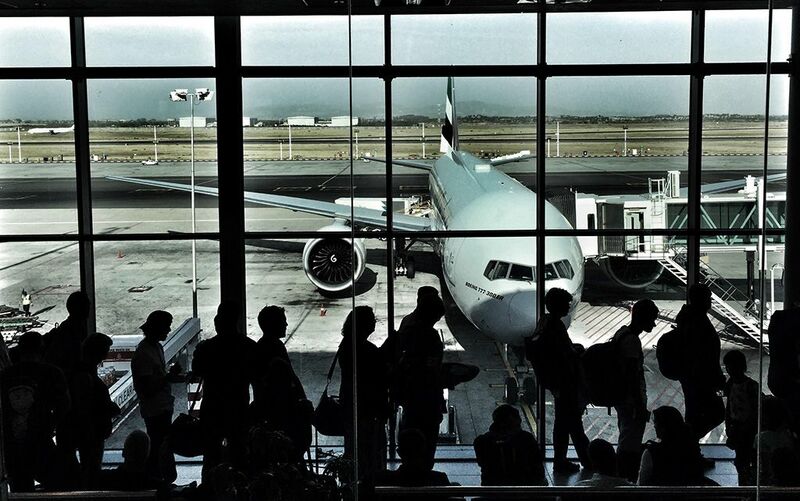 This invasion of privacy will surely have a chilling impact on international business travel. Meanwhile, there’s the danger that if travellers fail to provide suitable answers to questions asked by immigration control they may be denied entry, or worse. There have already been cases in which travellers have been detained because the authorities have not accepted excuses such as ‘I forgot my password’ or, ‘I don’t use social media’. So, deciding on a secure compromise between US snooping and personal security just became all the more important. One suggestion has been to get yourself an extra handset to take with you when you visit the US and equip it with reduced access to your data. Apple’s recently-updated 4’’ iPhone SE is primed for this task to use as your travel ‘spare’, because it runs iOS and is equipped with a suitably fast processor, a good screen and camera. One big plus is that its iCloud support means you can easily sign in with a different identity after landing – an identity that has limited access to your private data. Like most ill-thought-through legislation, those most inconvenienced by extreme vetting will be honest travellers who won’t understand what’s happening, rather than the criminals or terrorists who will be taking all the sneaky precautions they can. We have no problem at all using the amazing dual focus camera on our iPhone 7 Plus to take casual snaps, but when we want to get the best possible photograph there’s still nothing like a DSLR. The dizzying array of features includes a 30.4 million pixel full-frame CMOS sensor, a highly impressive sensitivity range, and outstanding performance in low light. Making this a great machine if you want to capture beautiful pictures of fabulous places. The camera also includes advanced on-camera Dual Pixel Raw image editing, outstanding 4K video capture and even connects to the Internet. Light, robust and packed with ports, this advanced camera will help you capture some of the best images you’ve ever taken. This super-advanced camera brings image capture sophistication to the next level. If you are at all serious about your travel snaps, then this will help you take them to the next level. Napa leather was a term first coined by Emanuel Manasse in 1875, while working for the Sawyer Tanning Company in Napa, California. Fast forward 142 years and this beautifully crafted Napa Leather wallet comes from the opposite coast, and one of New York’s most respected leather accessory makers, Royce Leather, founded in 1944. Equipped with protection against RFID attacks, ne’er-do-wells will be blocked from scanning your cards. The wallet’s Bluetooth tracker connects with a Trackr smartphone app, so if your wallet is stolen you’ve a good chance of tracking the miscreant attempting to abscond with it. The Trackr app also supports ‘crowd-finding’ whereby other users can pitch-in and help you track your lost item. Pickpockets, card cloners and ID thieves congregate at airports as their victims may be hundreds of miles away before discovering the crime. That’s why a wallet like this makes so much sense for the savvy traveller. There are in-flight sleep masks and then there’s this smart sleep mask packed with medical grade sensors from NeuroOn, a great tool for you to use if you find that long-haul travel badly affects your sleep cycles. Controlled by a smartphone app that analyses your sleep data while you rest, NeuroOn provides six sleep settings, sleep analytics, a jet lag blocker, biorhythm adjustment, sunrise emulation, sleep boosting tech and a napping function. The mask learns your sleep habits and uses light therapy to help you get to sleep, and stay there. Its capacity to simulate sunrise means that when you wake, you do so feeling a little more human. It’s also really useful when you travel, as the jet lag blocking function works to adjust your body clock to match your destination. Available soon in the UK, this is a great example of health-focused wearable tech that really can help travellers alleviate the effects of a long journey. Losing your luggage is one of life’s biggest inconveniences, but with the GPS built into this tech-laden suitcase you can keep an eye on it – wherever it ends up! Other features include a built-in digital scale so you can check bag weight on your phone to avoid airline fees, smartphone integration to proximity lock/unlock your suitcase, and a powerful onboard battery to enable Bluetooth and recharge your phone or other devices. Tech aside, it is beautifully designed using premium materials with a water resistant hardshell and a tough lining. They’ve even thought about the wheels, which are slick, smooth and very quiet! Built to the standard carry-on size for major airlines, this is a high quality piece of technical luggage for a better class of travel. Try as you might to go everywhere with your camera it can prove impossible to get that super selfie or action shot of the family. So, if you want any of those or just want to capture an iconic birds-eye view, then you might consider taking the step into drone photography and purchasing one capable of handling your holiday demands. Now, the problem with drones is that they aren’t designed to be packed in luggage, they have breakable moving parts and take up baggage allowance. This is where PowerEgg comes in, tackling these problems with its clever fold-out design. When contracted, the wings fold into a rugby-shaped spheroid that measures 27cm x 18cm. The wings and camera fold out of the body, and you have a 4.6lb drone that’s equipped with a 360°, 4K HD camera which transmits to your phone. PowerEgg will fly for around 23 minutes and will fly back to you when its power runs low. Coming soon to the UK, the PowerEgg is a great little drone that you can simply throw into your suitcase, and we think it could become the ultimate traveller’s drone this season. These might be something you’d expect to see the kids wearing, but with their supremely comfortable earcups and adjustable fit, these noise-cancelling, wireless headphones will provide you with award-winning sound for up to 40 hours on a single charge. Their ‘Fast Fuel’ charging system means you’ll get three hours of music playback in just five minutes of charging time, making them ideal for travellers grabbing a little electricity in the lounge while waiting for a connecting flight. The foldable pans include a built-in microphone that lets you make calls wirelessly, but they really come into their own when used with an iPhone due to Apple’s W1 wireless chip. That means you get single-tap set-up and a direct connection to Siri, which means you can get directions, ask for translations and control music playback with your voice. These are a great set of headphones for anyone, but really come into their own for travellers in rapidly changing situations, such as quickly changing travel plans or finding ad hoc directions.